Emergency Dentists USA offers a unique service that makes it simple to choose a great Irving emergency dentist without the hassle of wandering the streets in search of a dental clinic with hours that suit your needs. Emergency Dentists USA carefully selects Irving emergency dentists that provide both routine and emergency dental care with specialties like pediatric dental services, cosmetic dentistry or orthodontics. Our dental listings include same day and next day appointments for those who are in need of immediate care. Great website, glad I found it before I lost my crown so I knew what to do in that type of emergency. Finding an emergency dentist in Irving, Texas is a breeze with the Emergency Dentists USA website. 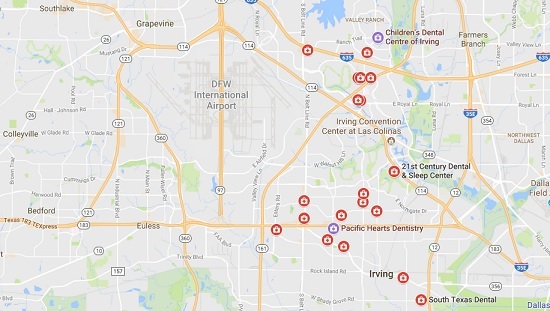 Simply scroll through our convenient listing of Irving emergency dentists and choose the dentist with office hours or a location that suits your needs. From our list below, South Texas Dental offers same day or next day appointments for those patients with a dental emergency. Urgency Dental USA: Irving offers late evening appointments when you have a dental emergency occur at night that can’t wait. Located below you will find our carefully selected Irving emergency dentist listings. Simply scroll through our comprehensive listing of Irving emergency dentists to select the right dentist for your dental emergency. Use our 24-hour dental emergency hotline to speak to a live operator who can assist you in finding a great Irving emergency dentist or set up your first dental appointment. Description: Spending time in Irving is a great way to celebrate a holiday or a family reunion, but not if any of the family members are wrought with pain! If anyone in your traveling crew experiences severe dental pain, use our handy hotline right away to link up with an after-hours pro to get you feeling well again and make sure your teeth stay healthy. Description: South Texas Dental was founded in 1993 with the overall goal of making quality dental care available and affordable for more families than ever before. Today, they’ve expanded to 37 offices in Houston, Dallas, Fort Worth, and San Antonio, with more to come. They accept Medicaid, CHIP, most insurance, including Aetna, MetLife, Cigna, Delta, United Healthcare, credit cards and cash, and have several payment plan options. Description: On Call Dental is open hours that fit your schedule and they welcome your dental insurance and provide affordable options if you do not have coverage. 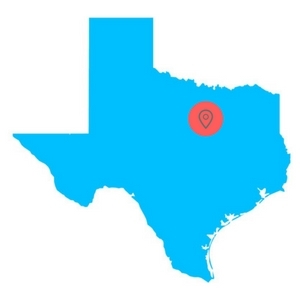 Their state-of-the-art office is filled with the latest technology, and their team is among the friendliest and most qualified in all of North Texas. Description: Schedule an initial exam, X-rays, and cleaning today, or, if you have an emergency, book over the phone or online and they will be more then happy to help, your health is their top priority. Description: Kids & Grownups Dental is an ideal choice for our directory for a number of reasons. First off, if you have an emergency they are willing to accommodate you. Not only that though but they offer extended hours on Monday until 6 PM. This is the kind of dedication we look for when finding ideal dental clinics for you to get your emergencies taken care of. – Arrive 15 minutes early to facilitate filling out paperwork. – Have your paperwork, health records, and insurance information ready. – Just like any medical visit, make sure you know if you have any allergies to medicines. – Do you have intense dental anxiety or fear? Make sure you notify the receptionist – let them know prior to arriving to ensure they can accommodate this if needed. 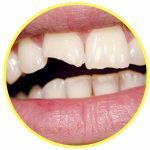 Some of the most common dental emergencies include soft tissue injuries of the mouth or gums, something caught between the teeth and broken or chipped teeth. A knocked out tooth, a broken bracket or a broken wire on your braces and a loose or lost crown can also be considered common 24-hour dental emergencies. Some other dental emergencies that you might encounter include dangerous abscesses, lost fillings or a tooth that is partially knocked out. 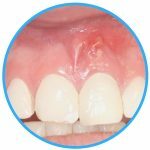 An abscess is actually an infection of the gums between the teeth or below the teeth. This type of infection can become very dangerous if left unaddressed as it can move to other parts of the mouth including the bones of the jaw. Rinse your mouth often with salt water to draw the pus toward the surface of the gum. Visit your Irving emergency dentist as soon as possible to begin the treatment of your dental abscess. Broken or loose braces and wires are a common dental emergency. If you have a broken wire, it is important to avoid cutting the wire. Use the eraser end of a pencil to push the wire into a more comfortable position. Cover the sharp portion of the wire with a small amount of orthodontic wax or a cotton ball. 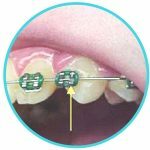 Use orthodontic wax to attach any portion of the braces to the tooth if possible. Visit an emergency dentist as soon as possible to have the braces repaired. A chipped or broken tooth is a dental emergency that often occurs after a fall or other injury. In this case, it is important to visit your hospital emergency room to ensure that you have no other injuries. If you are able to find the broken portion of the tooth, bring that with you to visit your Irving emergency dentist. Rinse your mouth with water and use a moistened piece of gauze to apply pressure to any areas that are bleeding. Press a cold compress against the outside of your mouth to lessen pain and swelling. You might require an emergency tooth extraction if your tooth has decayed beyond the point where it can be repaired by a dentist. It is important to have the extraction accomplished as soon as possible to minimize the chance of complications or increased pain. Your dentist usually begins the procedure by performing an examination and taking an x-ray of the tooth. He or she then chooses a local or general anesthetic to keep you comfortable throughout the procedure. A special dental tool is used to remove the tooth from the gum, and the gum is stitched closed using sutures that dissolve over time. A small piece of gauze is placed over the gum to control any bleeding. Full healing usually occurs within one to two weeks of the tooth extraction. After your emergency tooth extraction, you should follow all instructions regarding medications given by your dentist. Try to avoid eating hard foods or drinking from a straw for the first few days after the procedure. Avoid drinking alcohol and smoking until the gum is fully healed. You might choose to have the tooth replaced using a dental implant or a dental bridge depending on the location of the tooth that has been extracted. Your dentist can inform you of your choices when it comes to tooth replacement. Visiting the hospital emergency room is a great idea if you have a dental emergency that stems from a fall, an accident or a sports injury. In these cases, you may suffer other injuries that could be more dangerous than a broken tooth. Keep in mind that your hospital emergency room is not really the best choice for common dental emergencies that do not include injuries like accidents or falls. Your Irving emergency dentist is perfectly equipped to handle common dental emergencies like broken teeth, lost fillings or even a painful toothache. Often, it is less expensive to see a dentist which saves you money during your dental emergency. When you choose a new Irving dentist, it is important to ensure that your dentist is properly licensed and credentialed. Use the American Dental Association website to check current credentials and determine if your new dentist is licensed in Texas. You can also choose the Texas Dental Association website to get great information on Texas dentists and tips on caring for your teeth.